"We went looking for your wife, and we found friendship." 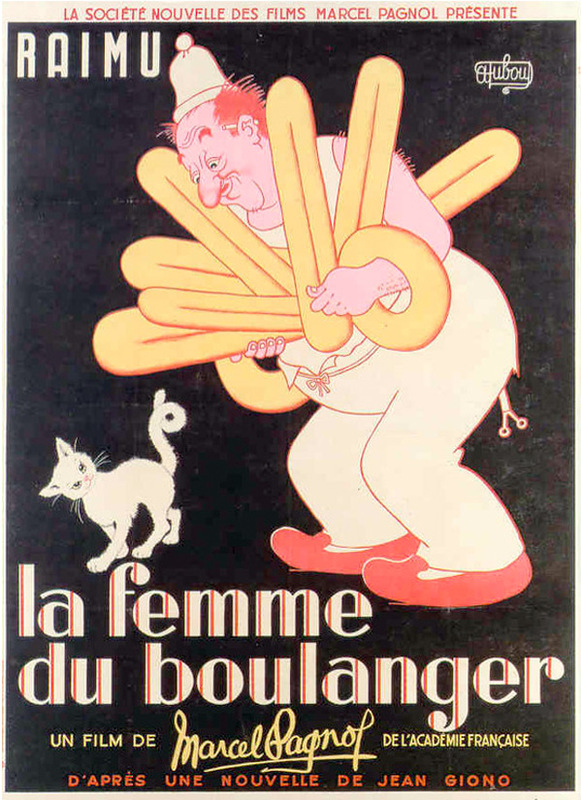 Janus Films has revealed a brand new trailer for the 4K restoration re-release of The Baker's Wife (originally titled La femme du boulanger), French filmmaker Marcel Pagnol's "enchanting slice-of-life comedy" that was first released (in the US) in 1940. The film tells a story about how the peace of a Provençal village is shattered when the baker's wife runs off with a handsome shepherd. In his despair, the baker becomes heartbroken and can no longer bake. The villagers organise themselves to bring the wife back to her husband and so regain their daily bread. An amusing satire about life in a tiny town. The film stars Raimu, Ginette Leclerc, Fernand Charpin, Robert Vattier, Charles Blavette, Robert Bassac, Marcel Maupi, and Alida Rouffe. Playing in NYC later this month. The warmth and wit of celebrated playwright turned auteur Marcel Pagnol (The Marseille Trilogy) shines through in this enchanting slice-of-life comedy. Returning once again to the Provençal countryside he knew intimately, Pagnol draws a vivid portrait of a close-knit village where the marital woes of a sweetly deluded baker (the inimitable Raimu, heralded by no less than Orson Welles as "the greatest actor who ever lived") snowball into a scandal that engulfs the entire town. Marrying the director’s abiding concern for the experiences of ordinary people with an understated but superbly judged visual style, The Baker's Wife is at once wonderfully droll and piercingly perceptive in its nuanced treatment of the complexities of human relationships. The Baker's Wife was first released in America in 1940, two years after it premiered in France. This 4K restoration was done by La Compagnie Méditerranéenne de Films - MPC with the support of the CNC + Arte France. Janus Films will re-release The Baker's Wife on December 21st at Film Forum.